A Great Spray Tan for Redheads and a Deal For You! A few weeks ago the lovely Rhiannon from Fab Co Beauty Salon got in touch about a very light formula of spray tan that she was looking for someone to test on. She uses the highly acclaimed Sienna X spray tan (used on Strictly Come Dancing, the Brit Awards, and Hollyoaks) in her at-home salon, and their Touché De Soleil formula was one that she hadn’t had the opportunity to try out because it’s designed for very fair skin. It contains 6% DHA (the active ingredient that gives your skin a faux glow). To give you an idea of the strength, the next up in the Sienna X range is 8%, and that’s supposed to be light enough to be suitable for all skin types. The Touché De Soleil is supposed to be a very subtle glow and Rhiannon said that it’s recommended for brides to give them a healthy radiance on their big day. I should say I have never applied any kind of fake tan before, so I was a complete newbie coming into this experience! The Salon – If you’re under the impression that as an at-home salon, Fab Co might be just like walking into someone’s house and getting a spray tan, that couldn’t be further from the truth. Rhiannon has set it up to be incredibly professional, so that when walking in you could be walking into any commercial salon. This sets the perfect ambience for your treatment, with music playing softly in the background, the products beautifully displayed around the room and a consultation table set up for you to have a chat with Rhiannon about what would best suit your needs. She does a range of treatments, from tanning to manicures to high-tech ultrasound inch loss (if you’re looking for an alternative to expensive surgeries)! When I arrived, Rhiannon sat down with me and talked me through the process of spray tanning and the after-care, as well as checking that my skin was suitable for the product. She made me feel completely at ease and got rid of all my first-time-tan nerves. The Tan – After liberally applying barrier cream to my palms, elbows, knees and the soles of my feet to prevent any give-away orange patches, it was time to hop into the pop up spray tanning tent. The whole process took about 10 minutes. For any newbies like me, I’ll explain what happened! A light mist is applied with a spray gun all over the body which felt pleasantly cool and involved a few odd poses in order to get even coverage. A lot of people have talked about the biscuit-like smell of fake tan, but I didn’t find the smell of Sienna X offensive. You can still smell the tan slightly, but it has coconut in it too, which makes it a lot easier on the nose! Afterwards, more barrier cream is applied, and you have to wait a minimum of 8 hours before washing off the excess. I should say that my skin-type does naturally tan very slightly, despite me being a redhead. If you have very pale skin that doesn’t normally tan in the sun, this may not look that natural on you. If you pick up a bit of a glow when the sun comes out, I think this will work really well! It’s really all about trying out different combinations and seeing what works well for your skin, and at the end of the day it only lasts 7-10 days, so there’s nothing to lose. I personally love the results on my skin. It hasn’t gone streaky at all, which is a credit to Rhiannon’s spraying skills, though I would say that I wouldn’t want to go any darker than the Touché De Soleil formula. This shade is just the right amount to still look natural without looking orange on me, which was the most important thing in my eyes. The thing that has always deterred my from fake tan in the past is the fear that my skin will match my hair colour! I have to say, the night it was developing I was getting a bit nervous as it did look quite dark, but don’t let this scare you. After I washed it off the next morning I could see that it was a great shade for my skin tone. It’s almost the exact colour my body goes when it’s naturally tanned, only a shade or two darker, so it really does give me a natural sunkissed glow that I have never managed to get from sunbathing. And the best thing? No horrible UV rays in this! I’m already trying to work out when I can squeeze in my next appointment before going back to uni. The Best Part! 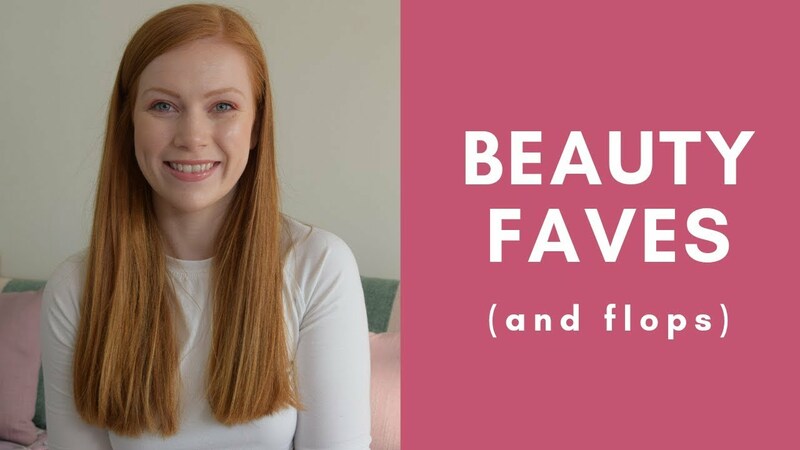 – Rhiannon has kindly put together a discount for any Simply Redhead readers who want to try out her tanning treatments. If you call or email her to book a spray-tan and mention that you were referred to her by this blog post, then you can get a spray tan for just £15 rather than the usual £25 (only valid for new Fab Co customers)! It doesn’t have to be the formula I used, it can be whatever suits your skin-type best, be that 6% or 16%. She is based locally to me in Sussex, but if you can’t get there she may be able to travel to you, the best thing to do is give her a call. Find the number on her website where you can also book online, or check out this Facebook page where you can keep up to date with all her latest treatments and offers! N.B. Rhiannon kindly offered me the tan free of charge because I’m writing a review for you guys. However, all opinions are my own and unbiased. My policy is if I don’t like it, I don’t review it! I don’t know why White woman tan any way. Your white skin is more beautiful. And I say this as a Brown person from the Middle East ! I’ve been thinking about getting a spray tan. I’m also afraid of turning orange. I love the way yours turned out! I’ll have to see if we have Sienna X in the states!